Wisteria sinensis 'Cooke's Special' also known as Purple Chinese Wisteria is a non-evergreen, twining shrub with bright green leaves, which are bronze tinted when young, turning yellow in autumn. 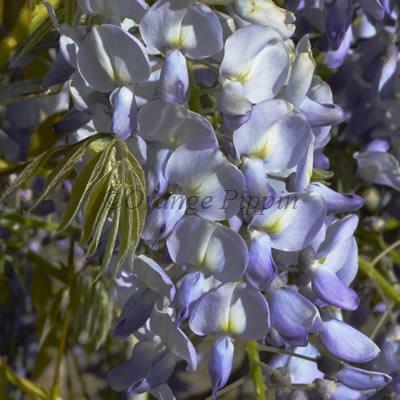 This strong growing, climbing plant plays host to beautiful, long, drooping clusters of pea-like, fragrant lilac-purple flowers, giving a spectacular show during late spring and early summer. This fast growing climber is best grown against a sunny wall side, house, wall, trellis or informally through a large tree.